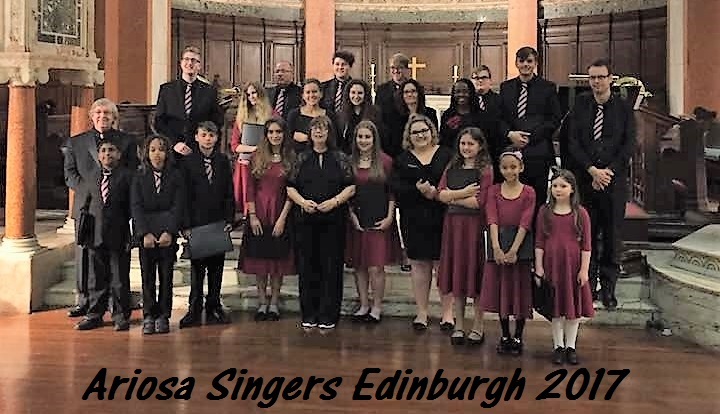 The Ariosa Singers is an independent youth choir open to all young singers. 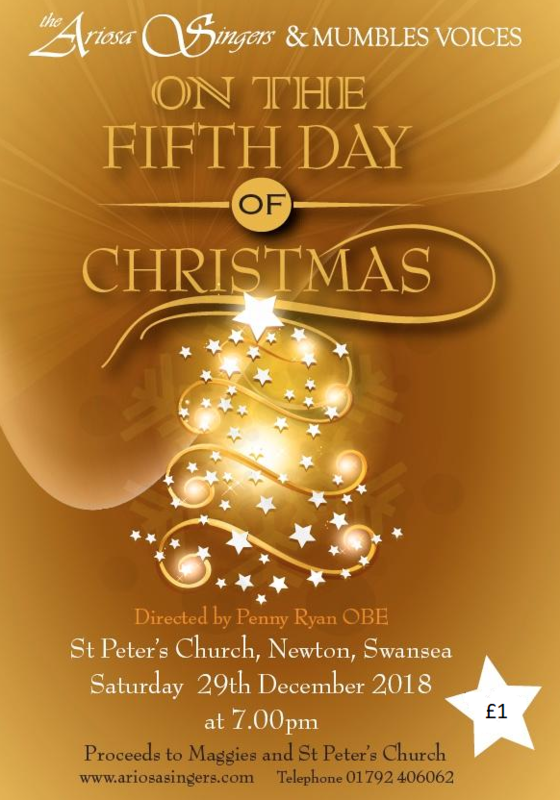 Rehearsals are at the Llwynderw hall, Fairwood Road, West Cross Swansea 2pm-4pm on Sundays. 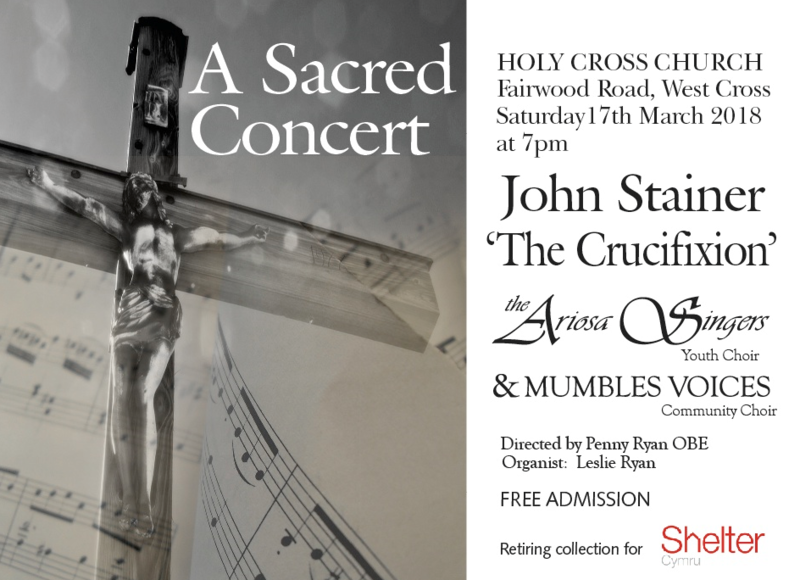 The hall is at the back of Holy Cross Church, next to Mayals Primary School. 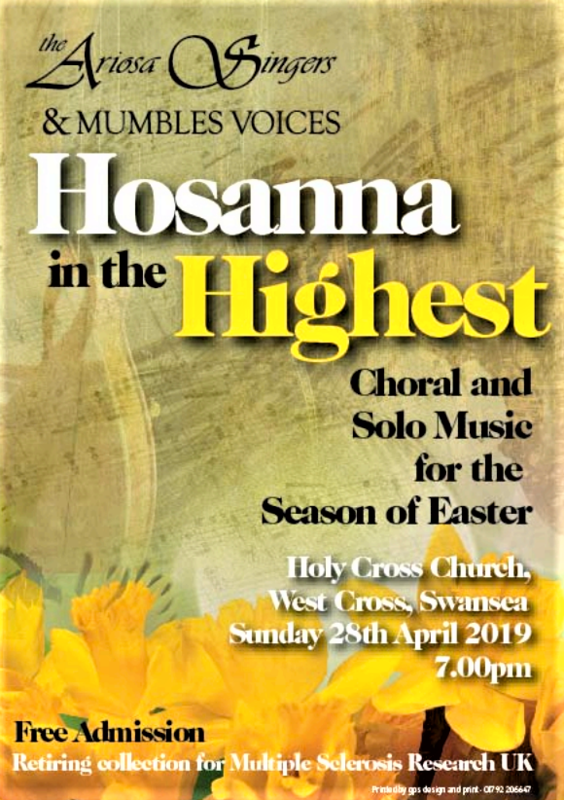 Our next concert is 'Hosanna in the Highest' - music for the season of Easter and will be at Holy Cross Church, West Cross, Swansea on Sunday 28th April at 7pm. 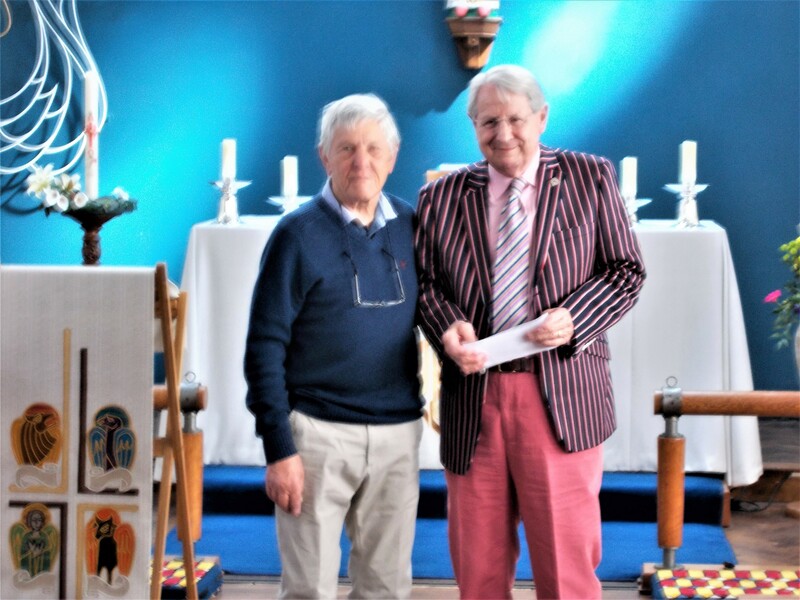 The Mozart Coronation Mass concert at Holy Cross Church, Swansea on 20 April raised a profit of £1000 which will be split 50:50 between Maggie's Swansea Cancer Care and Holy Cross Church. 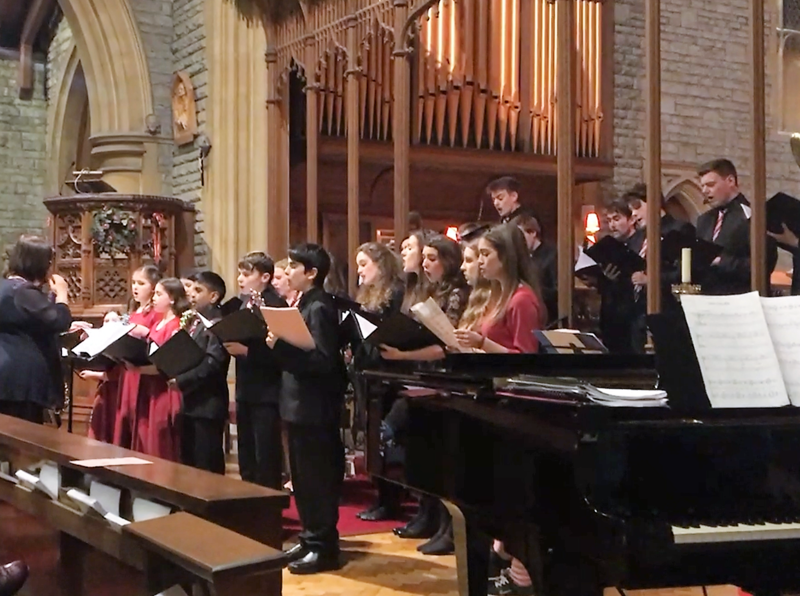 Thanks to all who sang and played to make the concert such an overwhelming success. 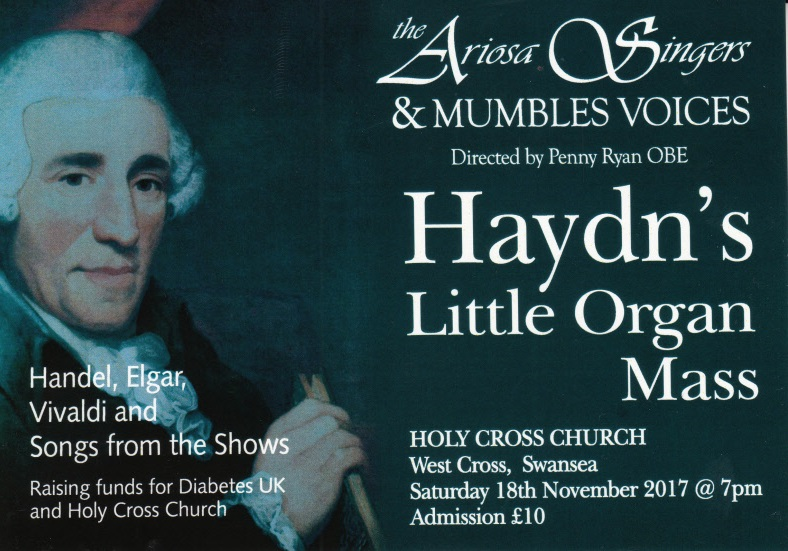 The singers have a wide repertoire of classical and lighter music as well as modern arrangements and commissioned works. Their European concert tours have taken them to Dublin 2006, Prague 2007, Paris 2008, Barcelona 2009, Tuscany 2010, Venice 2011, Rome 2012, and Catalonia 2013. In 2016 they returned to Dublin ( photo above) and in 2017 plans are being made for a concert tour to Edinburgh, Scotland. 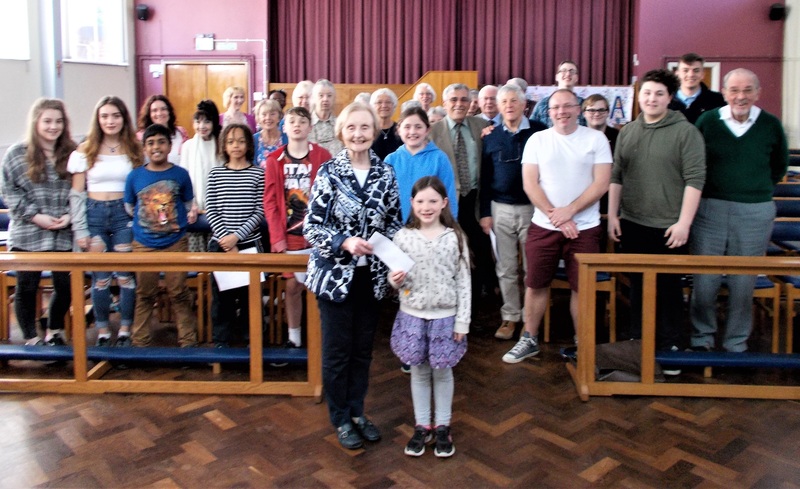 Natalya Romaniw is Singing Patron of the Ariosa Singers. 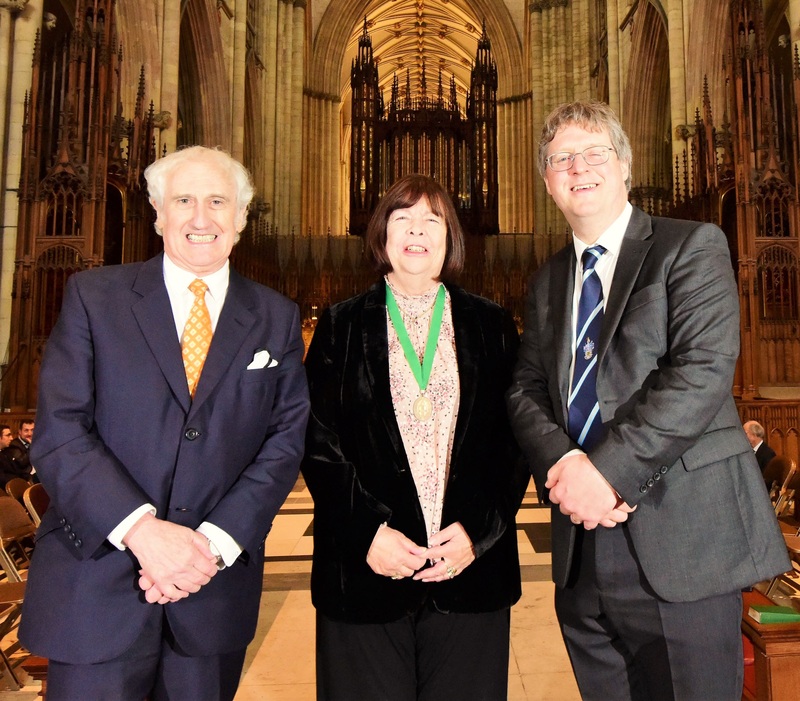 Natalya won the Gold Medal at the Guildhall School of Music and Drama, London in 2011 and the prestigious Kathleen Ferrier Award in 2012. She went to Houston Opera, USA on its Young Artists Programme. Back in the UK now, she is in demand as an opera singer, recently taking leading roles with Garsington Opera and Holland Park Opera.